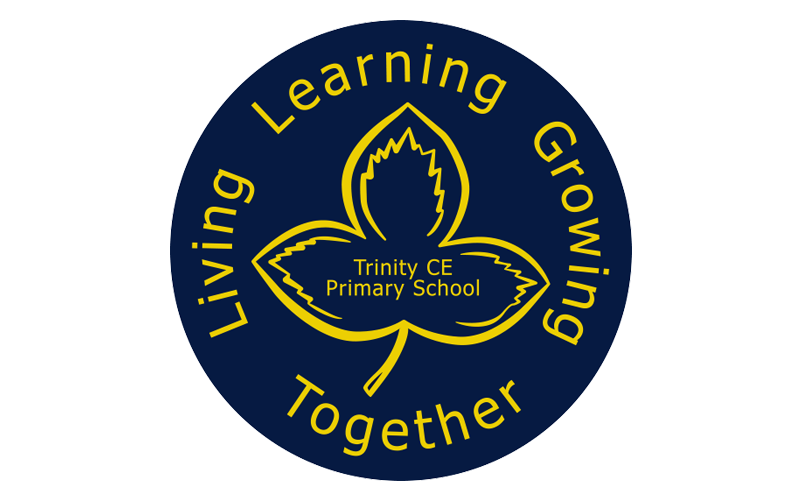 Trinity CE Primary School, based in South Gloucestershire, provides a happy and safe learning environment where everyone feels valued and respected. This school is a place where children thrive intellectually, emotionally, physically, socially and spiritually. Their aim is that all children become well-mannered, resilient, responsible future global citizens with enquiring minds, who are happy, ambitious and successful. 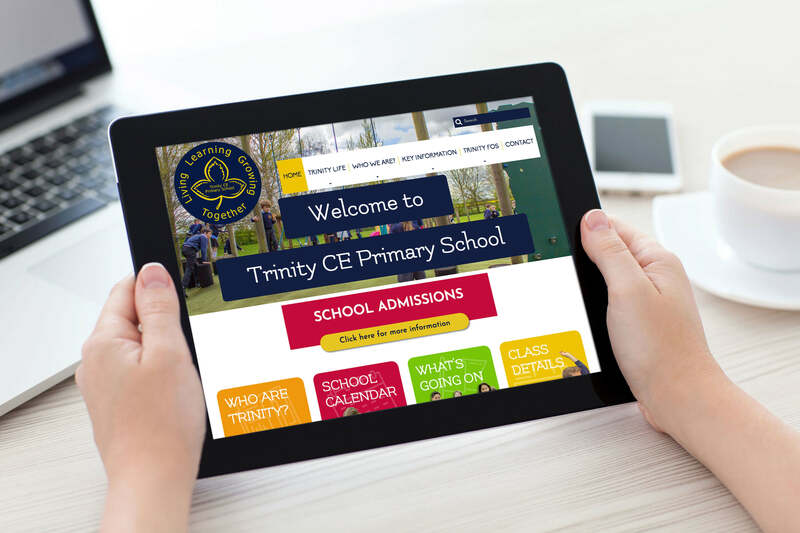 Trinity CE Primary School wanted a vibrant, fun website which would communicate the values of their school to prospective parents and make an excellent first impression. 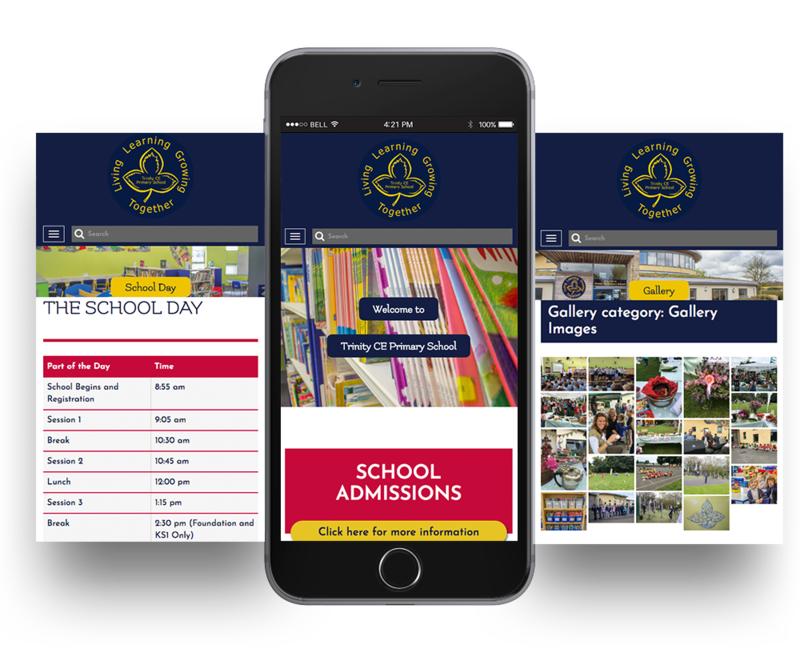 Trinity wanted a website that would be the perfect place for parents to receive valuable and up-to-date information about the school. We were happy to provide Trinity Primary school with a completely bespoke design reflecting their brand and values. The website acts as a resource hub for parents where they can easily find all the information they need due to the simple navigation. Documents, policies and reports can easily be downloaded at the click of a button. The website features bespoke functionality such as a school calendar showing what clubs, activities and events are on.